Hands-on, real people with a personal touch serving your needs. The Rehabilitation Team’s goal is to assist our clients to reach their highest function and be as mobile as possible. Working closely with your doctor, therapist, insurance company and manufacturers, we help you choose the most appropriate seating, positioning and mobility device. Headed by a Nationally Certified Assistive Technology Professional, which assures you of an appropriate outcome. Our Service Department is Manufacturer Certified to service everything we sell. Manual and power wheelchairs from low seat, recliner, light weight and ultra light, to pediatric and bariatric, we sell and service most types of wheelchairs. With many years of extensive training, our service department can even repair equipment that we don’t offer. Ask if we can repair your unique item or product. We make getting around easier. Our Factory Certified Installers provide you with mobility in your home or vehicle with Stair Glides and Vehicle Lifts. Highly trained Certified Fitters can assist you with over the counter to custom-measured and custom-made stockings, plus custom-made full-body garments, and everything in-between. We carry many brands and sizes of compression stockings, and can special order to your specifications. Our Certified Fitters are here to assist you in obtaining the correct product for your needs. Certified Fitters for your needs; prosthesis, lingerie, bras, wigs and swimwear. Call to make an appointment so we can give you our undivided attention. 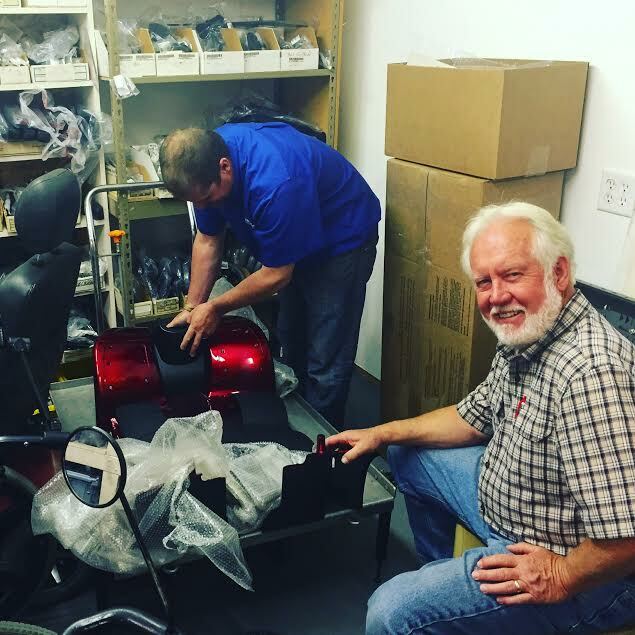 Our Professional Staff takes great pride in helping you find the right supplies or equipment. If we don’t have it in stock, we will custom order it.